Chicago has been separated into ethnic quadrants for as long as I can remember. Only in our city could you literally go around the world in 80 days in respect to a multitude of cultures and food. 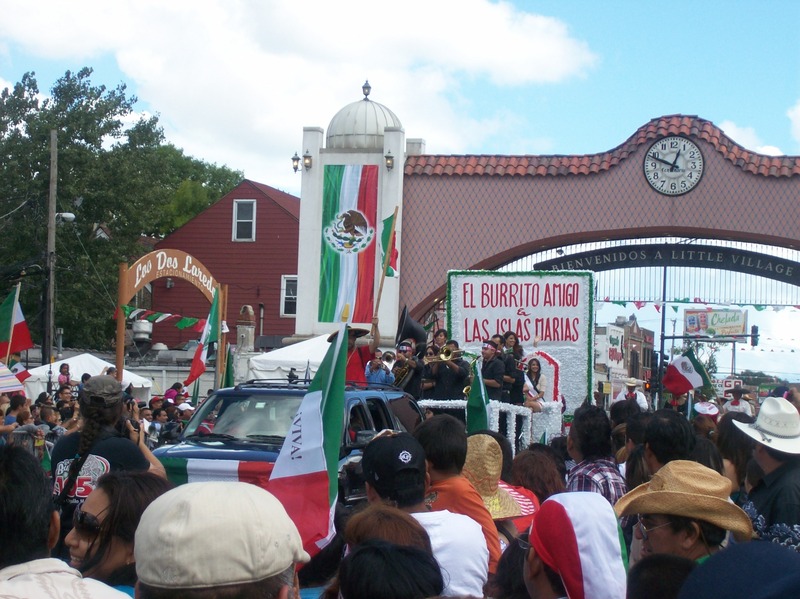 But 4-Star’s destination was a little closer to home as we visited La Villita or the Little Village area, which forms a perimeter from about 31st and Cicero and then moves eastward ending at about Western Ave. In this capsulized version of Mexico many of the traditional constructs can be seen from the terra cotta found decorating many of the buildings as well as the welcome sign once you enter into the area. 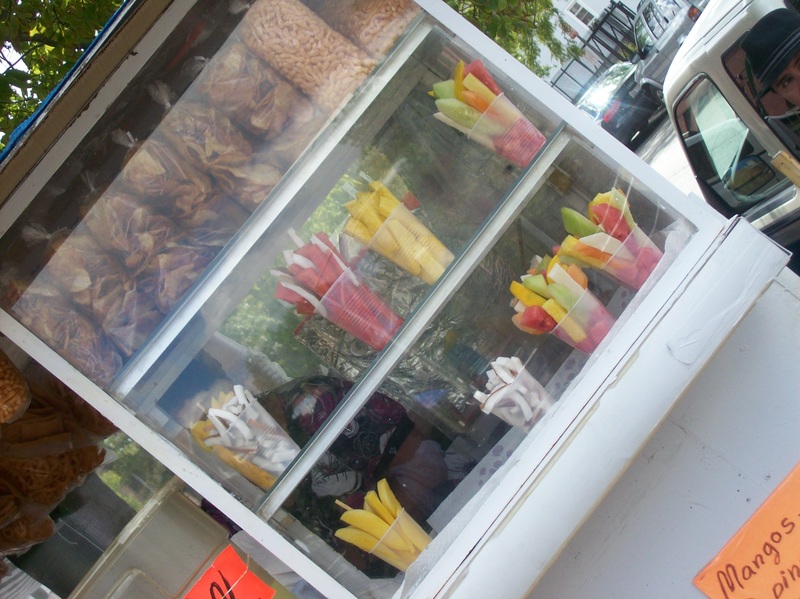 You can also find these signs of tradition in many of the shops selling authentic costumes and especially in the food offering centuries old recipes that always whet this blogger’s appreciative appetite.But as the area expanded there was a sort of marriage between Mexican and American cultures. And as with any marriage there has to be a mix of old and new, examples of this can be seen in the expressive graffiti murals of symbols such as the Virgin Mary that can be found throughout the area. 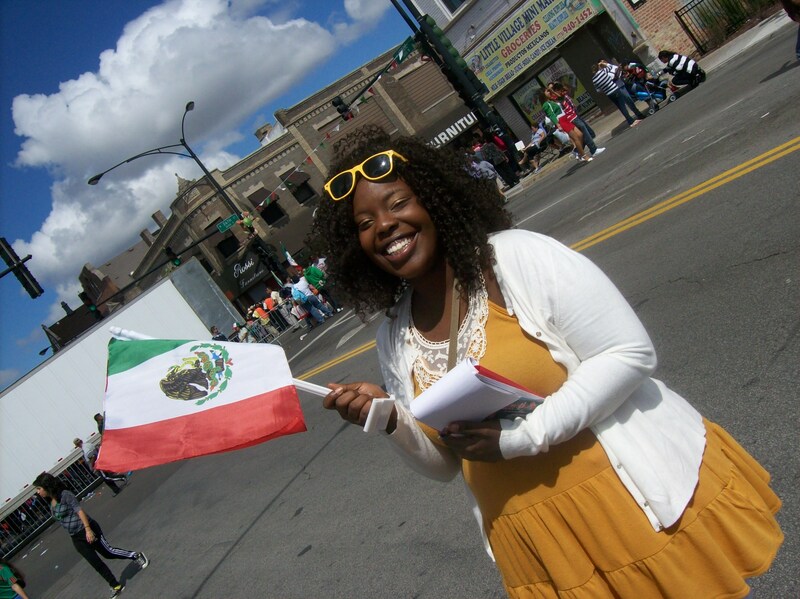 I, Vonnie Coleman along with Chris Thompson, on behalf of 4-Star Explorer kept all of this in mind as we parked and began to walk towards one of the biggest celebrations in Little Village, the 26th Street Mexican Independence Day Parade! As we stood near 26th and Kedzie, we got a chance to take in the array of colors and sounds. As the parade rolled on there were more than a few popular floats making their way down the packed lane. 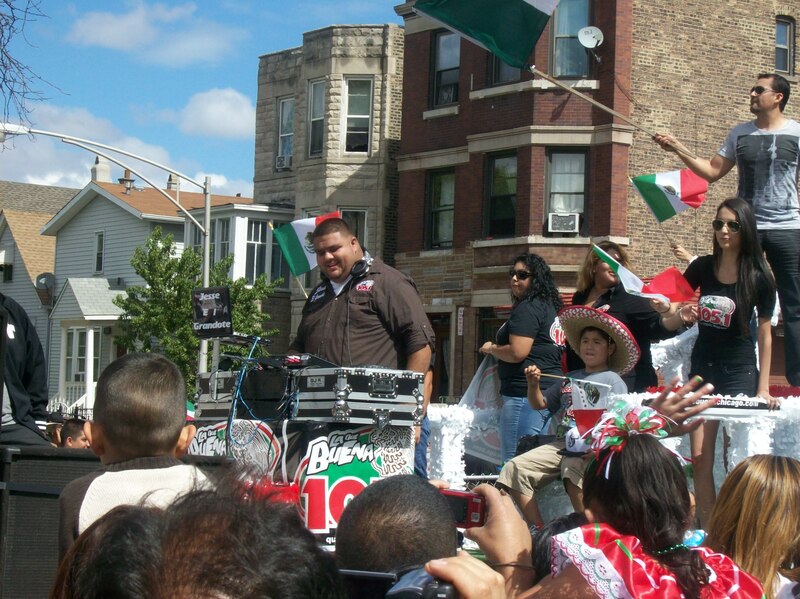 The 26th Street Mexican Independence Parade has lots of pros to its credit. One of the things I absolutely loved is the amount of children participation. From the yelling mouths in the crowd to the fanciful participants riding floats, kids really made the difference. There were young horse riders, beautiful teens sporting glittery Quinceañera gowns, tiny Bachata dancers, as well as junior volunteers who helped pass out flyers and information for causes such as voter registration and free safe cps bus rides for children. Another great attraction was the swag! I’m not talking about style, I’m talking about the almighty FREE. There were many free treats, trinkets, and gifts tossed into the awaiting crowd. This blogger was lucky enough to score a pack of chocolate chip cookies and a pink water bottle, my high school softball coach would be proud. I have always appreciated the preservation of the rich history of the Latino culture. The proceedings always brought it back to their mother country Mexico. Mayan costumes were displayed as well as vibrant Puebla dresses for women and Charro suits for the males. Another of the mounting merits for the day’s exhibition was the efficient take down and clean up of the event. The parade ran from noon precisely and ended about an hour and a half later. The event organizers did a good job of dispersing the crowd and getting the roads back to drivable condition. Dare I say, it ran much better than another famous parade the annual Bud Billiken Parade which we as Chicagoans know can unofficially run all night thanks to constant patron flow at all times of the day. Lastly, and most importantly were the bountiful booths that parade goers could purchase various wares. Also sold at these wondrous booths, FOOD, glorious food. Horchata, mango sprinkled with chili, and the heavenly creation known as Mexican corn consisting of either Parmesan cheese, butter, mayo, chilli, or a concoction of two or more. I had never before tasted such a filling and amazing treat as this. After a day of taking in so much it was nice to wind the day down visiting the neighborhood, Lalo’s, and having their famous Blue Margaritas. I just wanted to take a minute to give a real note of thanks. Let’s be real Chicago, we know there’s certain neighborhoods where race is still a very prevalent issue. There’s certain places where “black folk” aren’t allowed but when I say I felt so welcomed, it was very gracious. I’ve always come from the belief that we as minorities and people in general should never undercut each other because we struggle with the same hurts. I, as a black woman, appreciated the overall experience of the fiesta. That’s all from 4-Star. Did you like the article? Have any other cultural festivals you want us to visit and review? Contact us at fourstar.explorer@yahoo.com. Also take a peek at our Facebook page at facebook.com/4StarExplorer and don’t forget to “like” us! I'm a brand, blog, and logo not only representing the blog 4-Star Explorer but also the four stars that make up the Chicago city flag.